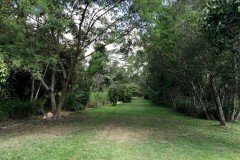 Singapore isn’t called “the garden city” for nothing – you’ll find a shady green refuge in nearly every neighbourhood. Here’s a rundown of our favourite public parks offering everything from open-air concerts to cycling along the coast. Another perfect evening at East Coast Park. With its man-made beach and family-friendly activities, East Coast Park is a destination in itself. The park stretches for 15 kilometres along the coast near Changi Airport and you can rent bicycles or enjoy a seaside stroll. The beach is lovely with soft sand and swaying palm trees, but most locals do consider the water too polluted for swimming. 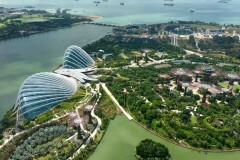 East Coast Park also offers water sports, fishing, a children’s playground, mini-golf and East Coast Lagoon Food Village which is known for its barbecued seafood. The park is very popular on weekends when bus #401 runs to the park from Bedok MRT. In the city centre, our favourite green space is Fort Canning Park. 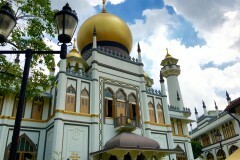 This historic hill was home of Malay sultans and colonial governors, but is now a peaceful retreat from the skyscrapers and shopping malls. 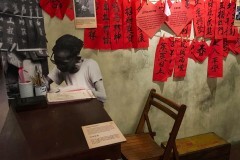 Within the park are some interesting sites including a replica of Sir Stamford Raffles’ spice garden and The Battle Box, a WW2 bunker converted into a mini-museum (though it is closed until further notice). The vast lawn known as Fort Canning Green is also used for outdoor concerts and has hosted acts from Lady Gaga to Morrisey. The park is easily accessible from City Hall, Dhoby Ghaut or Clarke Quay MRT stations – look for the hill and start walking. 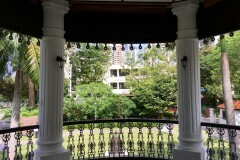 Lush Fort Canning Park overlooks central Singapore. 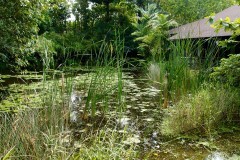 Of course, the loveliest place in Singapore for a stroll is the Botanic Gardens. You can easily spend half a day here exploring the plentiful walking trails and stopping to smell the thousands of species of tropical flowers. The blossoms attract wildlife including butterflies, squirrels and songbirds and its lakes are inhabited by turtles and swans. If you’re a jogger, the gardens have perfectly paved pathways and open at 06:00 so you can exercise before the temperature reaches 30 degrees Celsius. In the evening, the gardens are ideal for a romantic walk and there are occasionally free concerts at the Shaw Foundation Symphony Stage (check the events schedul). While an admission fee applies to see the famous orchids, access to the majority of the Botanic Gardens is completely free. 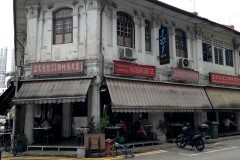 Get here by bus from Orchard Road or take the MRT to Botanic Gardens station.